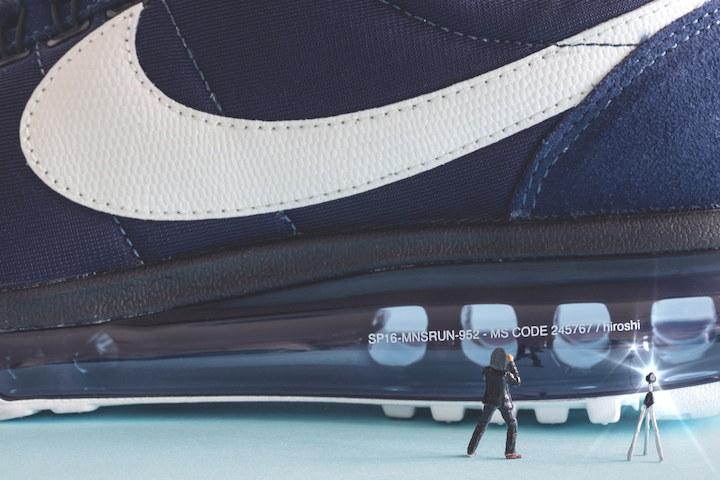 The recent Nike HTM release, the one that has democratised the previously extremely limited sub brand, has had the special treatment from Glackster. With each member having their own specialisms, each shoe got their own tiny models along a different theme. Hiroshi’s LD Zero focuses on clean aesthetics and Hiroshi’s passion for photography. The model of Hiroshi is actually three figures cut up and then re-assembled. 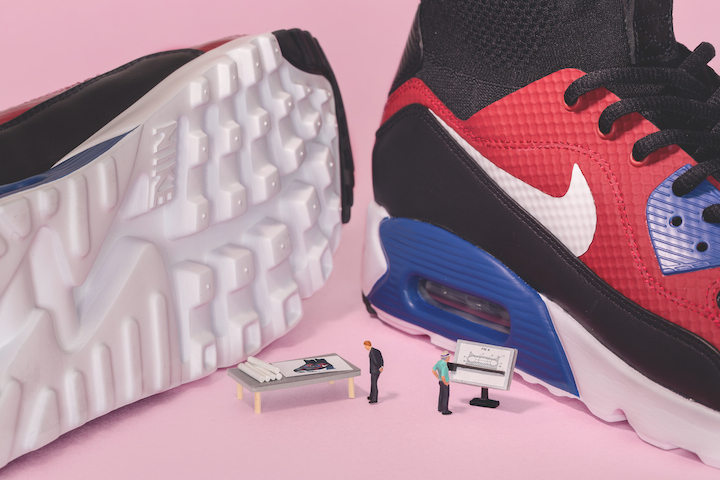 Tinker’s Air Max 90 Superfly Ultra uses his well known architectural background and builds on it (excuse the pun) showing him with plans laid out. 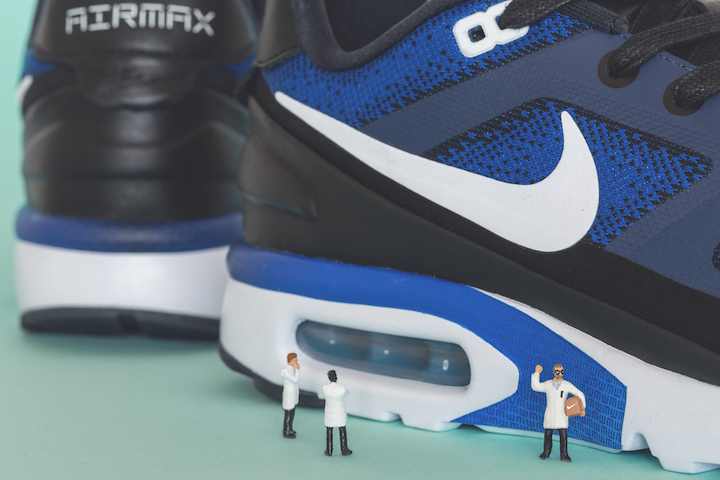 Mark Parker’s Air Max Ultra riffs on the way that the current CEO of the brand pushes the innovation and science that drives it. You can see him pointing at the shoe’s big window in the shot. Another well thought through fun little, tiny even, series from glackster who you can follow on instagram at @glackster if you don’t already.